Ladies, do not walk...RUN to the bookstore/library/Amazon and read Captivating: Unveiling the Mystery of a Woman's Soul by John and Stasi Eldredge right away! Oh wow, has it been wonderful. I called my bestfriend on multiple occasions and had to read pages out loud. 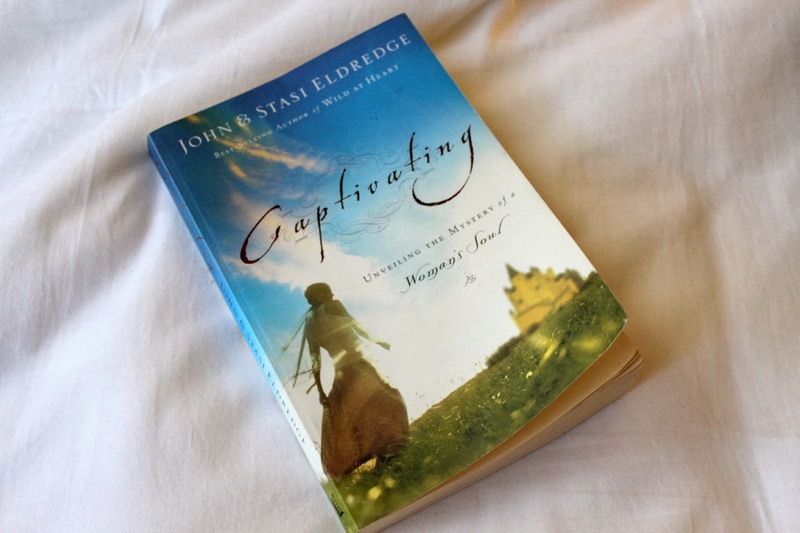 In this book, John and Stasi Eldredge discuss a woman's heart and how God created us to live and love. We, as women, are captivating. And this book shows that we can untangle our hearts from the messy lies we sometimes believe (I'm not good enough, I'm not beautiful enough, I'm not strong enough...) to reveal our true beauty, vulnerability, and tenderness that makes us women. Many times our insecurities overwhelm us with thoughts of failure and loneliness. This book provides lots of scripture, showing our hearts can be healed and that our identities in Christ define us. Our self-doubt and insecurities can trap us from acknowledging our true beauty, but the Lord can rescue us and reveal our hearts as truly captivating. 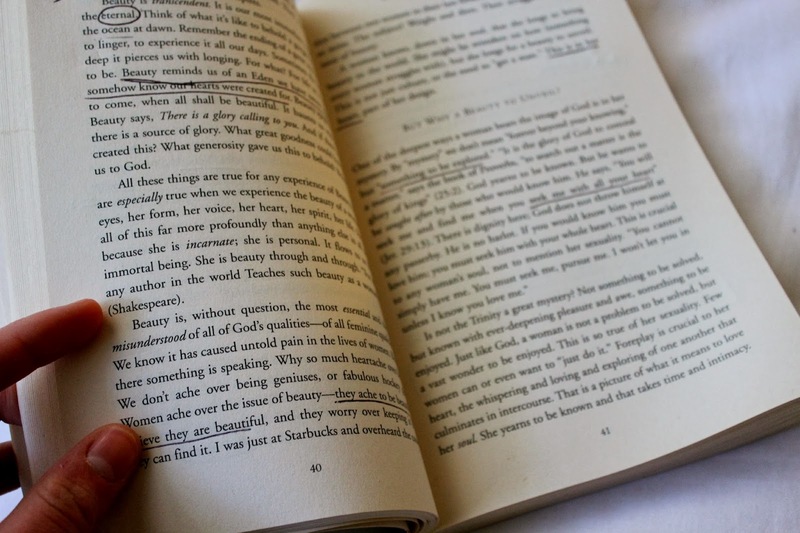 I have underlined, doodled, circled, and starred so many passages in this book. And I really just want to go back and read it again. I'm reading Wild at Heart next by John Eldredge and I can't wait to start a little book club over here at Cupcakes and Sunshine. Let me know if you are reading along as well.